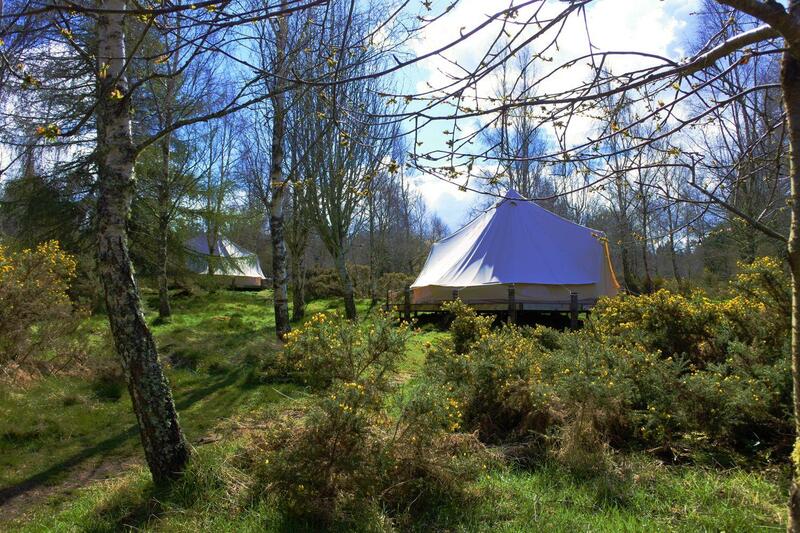 Nestled in Birch Woodland, our enormous 6 metre canvas bell tents, complete with wood burner and comfortable mattresses. 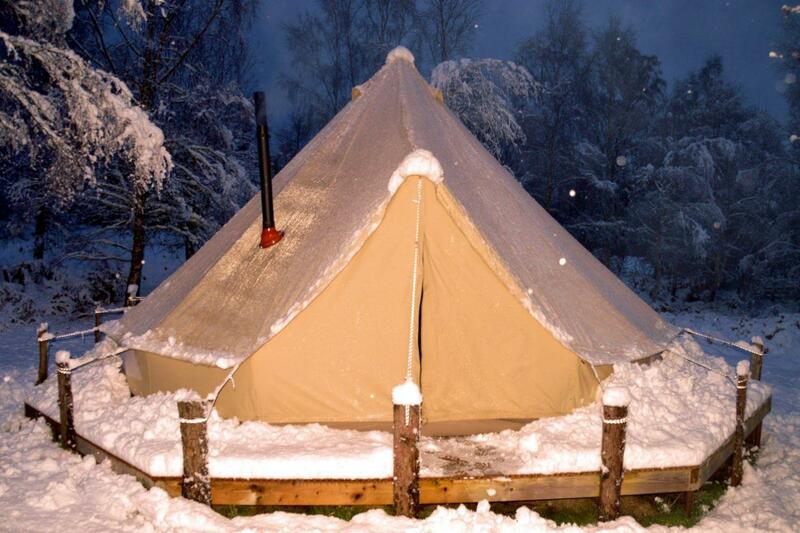 The bell tents are a cross between a complete glamping experience and old fashioned wild camping. Sleeping under canvas is a magical experience. 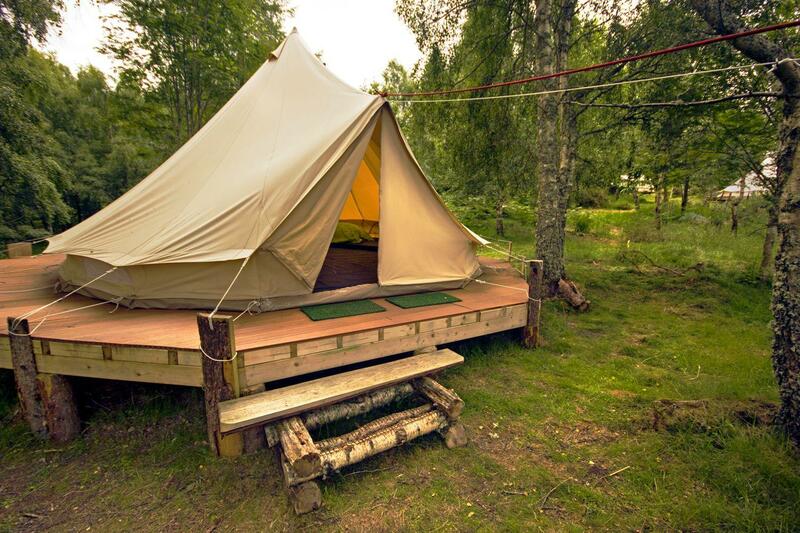 Plenty of surrounding space allows for bench or log seating outside each bell tent. Rustic fire pit that comes complete with removable grill for cooking. 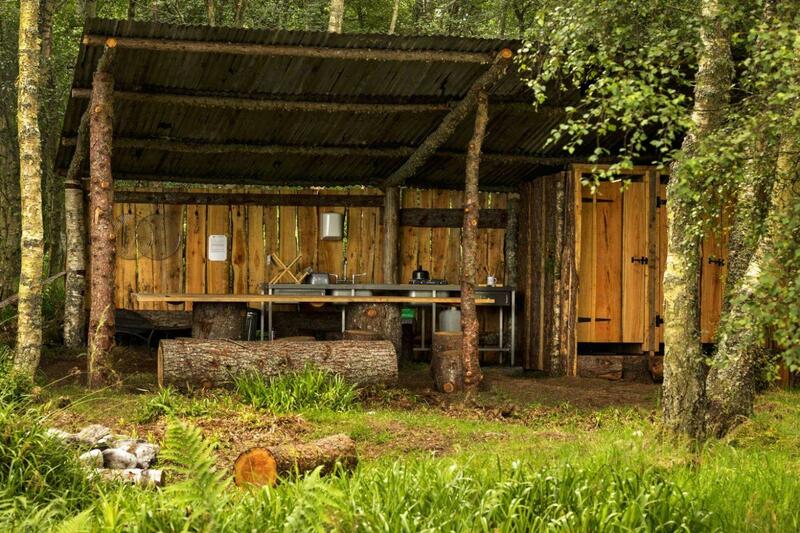 ACE Hideaways is located in the Findhorn glen only 8 miles south of the town of Forres. 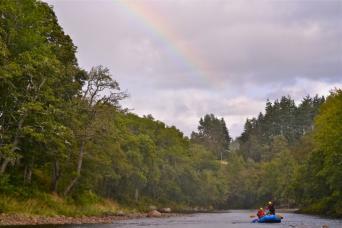 The campsite is within comfortable walking distance of the picturesque River Findhorn. 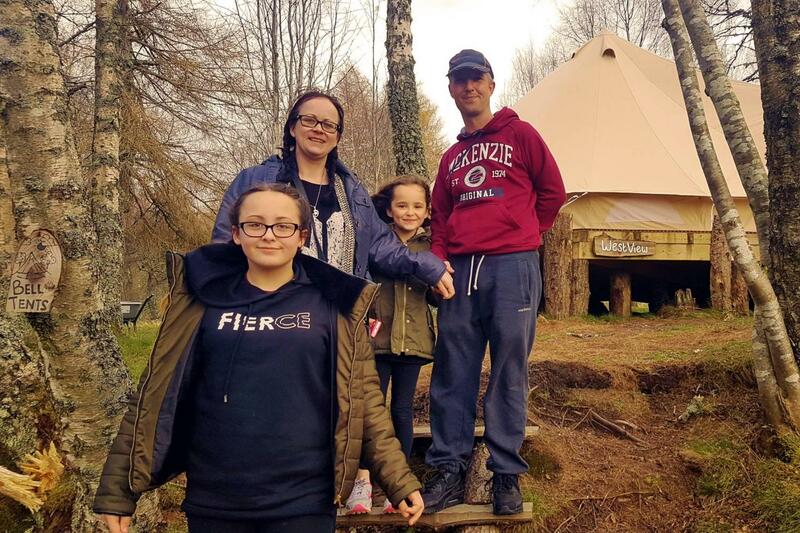 There is no shortage of things to do and see in the area making it a hidden gem for an authentic Scottish experience. The bell tents are impressive, sizeable structures made of canvas with one central pole some 3 metres high. 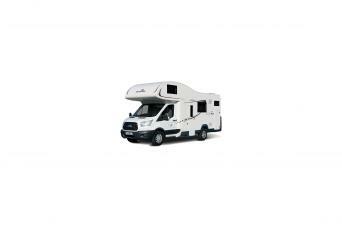 They have large doors that can be left open to let the outside in or securely closed for a cosy peaceful sleep. Six mesh windows allow for air to circulate if you are lucky enough to enjoy one of Scotland's warmer days. 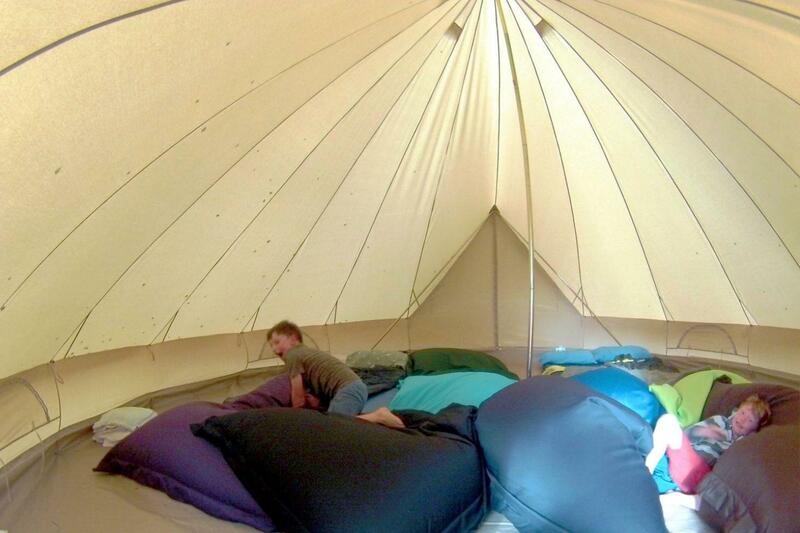 Inside the bell tents they are kitted out with comfortable mattresses with enough space to comfortably sleep 7 adults. The wood burner can be left to smoulder through the night keeping everyone cosy with the soft crackle of the burning charcoal. 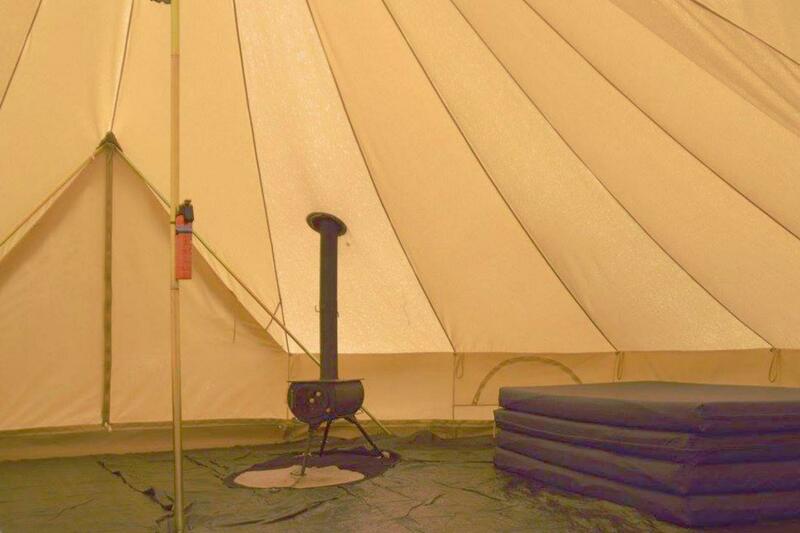 Outside each bell tent there is bench seating or logs that surround one of our rustic heavy duty steel fire pits. The fire pits come complete with a steel griddle plate that can be removed. Ideal for cooking BBQ. 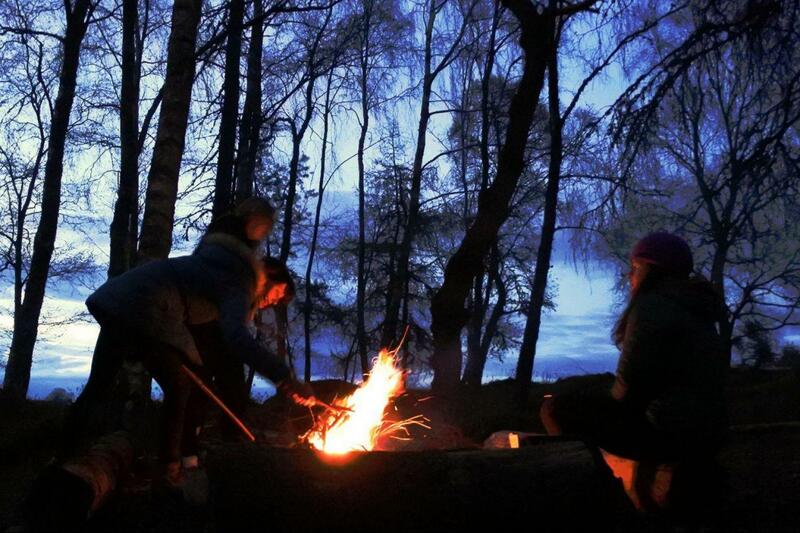 Each bell tent is located on the backside of a ridge line which breaks up the prevailing wind yet enables good airflow for optimal campfire smoke to disperse in one direction along with keeping the few famous midge's that can be experienced at certain times of year at bay. 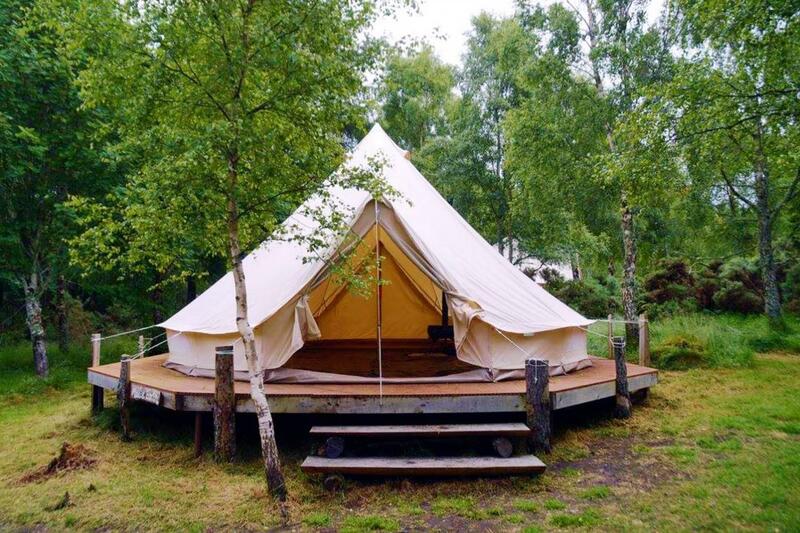 We have taken care to ensure the bell tents have reasonable spacing from each other for privacy and not to sprawl out too far from the shower and toilet amenities. 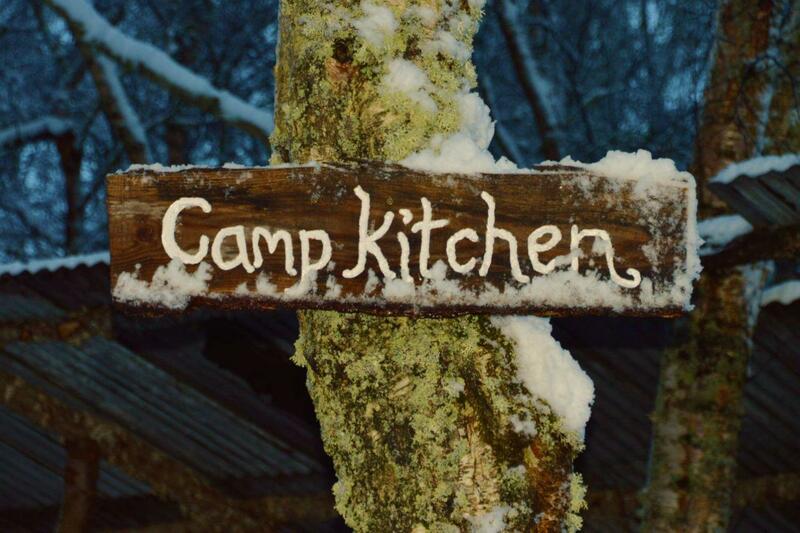 Onsite we have a communal kitchen with hot water, gas cooking hob and washing up facilities. 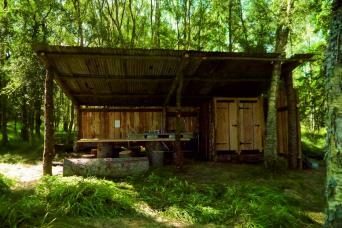 There are two simple showers while we are waiting for the shower and toilet block to be built.